It’s been a few days since Apex Legends Season 1. It paved the way for some in-game changes. One of the new additions to the game is, Octane, the adrenaline junkie, arrives in the Kings Canyon with a battle pass. It is divided into 100 levels, and each level allows to unlock unique cosmetics. Unfortunately, the road is quite long and many players do not necessarily have a lot of time to play for long hours and get all the rewards. To fight against this lack of time, we have gathered for you some tips to gain XP as quickly as possible! 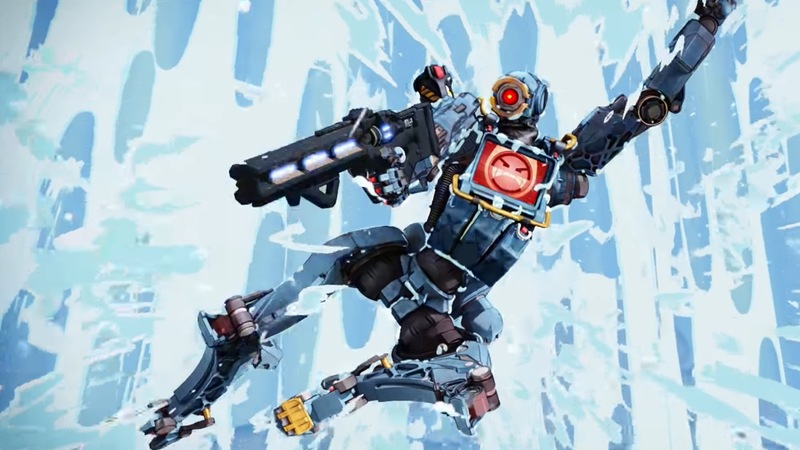 In Apex Legends, Respawn from day 1 wanted to enforce team play. For that, they decided to go on a format of three against three, where the players are rewarded with additional experience at the end of the game when you play with your friends. In the battle pass, the principle remains the same. You get an XP bonus during your games with your contacts. Whether in defeat or victory, you will get that advantage XP. All you have to do is invite your friends to the Canyon. It makes sense that winning your games will help you gain more experience. But as for your classic games before fighting, it’s mainly survival that will quickly increase your levels. Indeed, you get 6 XP per second during your Apex games, which can easily bring you to more than 3600 experience for a game of 20 minutes. Of course, your eliminations will add experience, but much less, so it is advisable to adapt and survive as long as possible in the Kings Canyon. Indeed, the most effective way is to use real money. You can purchase the battle Pass Bundle for a mere 2,800 Apex coins the equivalent of € 26, that will unlock the battle pass as well as 25 levels. You also have the option to buy levels one by one. For 150 Apex coins, you can increase one level. The price is not scalable, and whether you want to go from 99 to 100 or 1 to 2, the price will remain the same. It is important to note that regardless of your level, you will still need 29,500 experience to pass a landing of the battle pass. But as a reminder, this is far from mandatory and you can easily access level 100 without using real money! Weekly, Apex Legends has set up a Legends Challenges system. Indeed, you can earn extra points by playing all legends every week. Respawn wanted to diversify your way of playing, and allow you to discover the potential of each legend. But this bonus is one of the most important because it allows you to accumulate up to 25,000 XP per legend for a weekly total of 225,000 battle Pass points. These points rise rapidly and are based primarily on survival time.